When I was a child my family lived hand to mouth. We were loved and cared for, but the cupboards were often more bare than full. I often say that we ate a lot of Hamburger Helper in those days, but with only the Helper. My dad’s job was at a textile mill, a job he maintains to this day, though he should have long ago retired. Down at the mill, a couple of my father’s co-workers would help us, as such salt-of-the-earth people do. One of them was an old Baptist preacher named Gene Clark. Gene worked the mill during the week and preached on the weekend to a congregation of less than a hundred people way out in the sticks. During the hardest years Gene would slip my dad a wad of cash on Friday afternoons and say, “The church has plenty of money. You need this more than they do.” And, honestly, we did. Another man was Bobby Gentry. One Saturday morning Bobby pulled up in the driveway of our home and got out of the car dressed in a way I had never seen him before. Rather than donning his usual coveralls, he was wearing a suit. Three other men from his church dressed in suits got out of the car with him. Then another car with four more men pulled up. These eight men began heaving brown paper sacks of groceries through our front door for what seemed like an hour. It wasn’t Christmas. It wasn’t Thanksgiving. It was just on time. And while I have long lost track of Mr. Gene and Mr. Bobby, I have neither forgotten them nor their kindness. Where is Jesus? In heaven, reclining on a cloud? In the sanctuary on Sunday morning, sitting on a pew? Is he locked away in the Vatican or a seminary like a hidden treasure? Is he chained to the pages of the New Testament, a doctrinal pawn in Christianity’s arguments? No, Jesus is sitting in an Emergency Room, an uninsured, undocumented immigrant in need of healing. He is behind bars, so far from his parole date he can’t think that far into the future, abandoned by friends and family. He is sleeping under a highway overpass with newspapers for a blanket. He is an evictee waiting in line at the shelter for a bed and a cup of soup. He is the poor child living in a slum with lice in his hair, the stripes of abuse on his body, and a growl in his stomach. He is an old forgotten woman at the nursing home who no one thinks of anymore, other than as a body taking up bed space. He is a refugee in Sudan, an exile from Syria, a war orphan in Bagdad or Baltimore. He is a humble textile mill worker trying to stay ahead of the bill collectors while keeping food in his children’s bellies and a roof over their heads. Jesus is the poor, the downtrodden, the homeless, the sick, the hungry, the thirsty, the jailed, the lonely, and the overlooked. As we go to these – the least of these – we go to Jesus. Not figuratively, not symbolically, but literally. 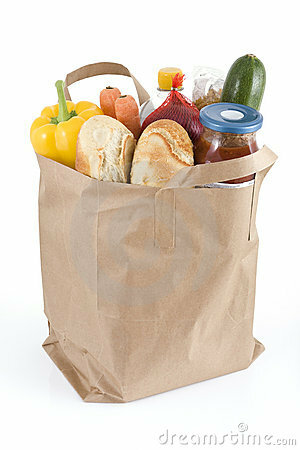 To serve those in need, with help, love, kindness, or a simple brown paper bag of groceries, is to serve Jesus. And such service will never be forgotten.